Are you coming to watch your football team play at Bloomfield Road? Why not watch your team and make a weekend of it, bring the family too. 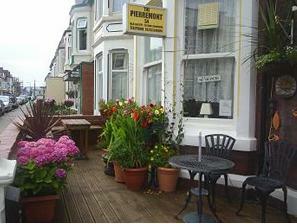 We are ideally situated just off the Promenade and within a short walk to the football ground. 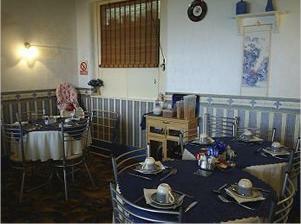 Piermont Guest House is located in the South Shore area of Blackpool, 200 yards from the promenade, between Central & South Piers, close to the Pleasure Beach and the famous Tower. Kieran & Lesley Gogarty’s aim is to provide all our guests with a genuine ‘Lancashire Welcome’. Traditional home cooked English food, comfortable beds and a place to relax from the ‘Hustle and Bustle’. Whether you here for the seaside, entertainment or nightlife, we are here to ensure you enjoy your stay. 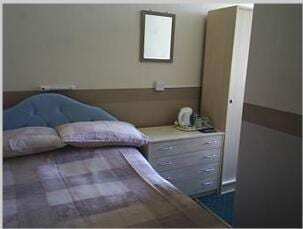 Choose from standard or en-suite rooms, family or double rooms. Colour TV’s, tea and coffee facilities and traditional home cooked meals. Children are welcome with travel cots and highchairs available on request. 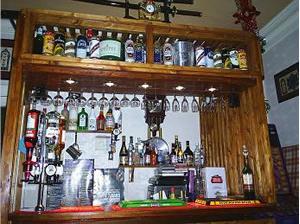 A fully licensed bar is also available to relax in with comfortable seating. The Piermont Guest House also offer free Wi Fi to all guests. Parking is available which is unrestricted on the street. For up to date Special Offers / Rates & Online Booking enquiries, click on the website link for details. Remember to Quote JUSTBLACKPOOL when making a booking on any of theBlackpool hotels listed throughout this website. Place Categories: North Pier, North Pier Couples, North Pier Disabled Friendly, North Pier Families, North Pier Gay Friendly, North Pier Groups, North Pier Self Catering, North Pier Stag & Hen, North Shore, North Shore Couples, North Shore Disabled Friendly, North Shore Families, North Shore Gay Friendly, North Shore Groups, North Shore Self Catering, North Shore Stag & Hen, Pleasure Beach, Pleasure Beach Couples and Pleasure Beach Families.